I’m not a historian, and I’m by no means anexpert on writing historical fiction, so let’s get that disclaimer out of theway. But I have written and published historical fiction, and have some comments to make on historical YA books in particular. I’ve been told recently that historical fiction for younger readers should ideally be ‘true’, i.e. properly researched in every detail and based on historical fact. If it isn’t, the writer is failing in his or her duty to educate young minds, by suggesting that the past was other than what we know it to be from non-fiction historical accounts. First off, I doubt there are many YA readers who leap to a historical novel in order to learn about the past! (Though they may wish to escape the present.) Historical fiction for teens is not written to educate them, nor does the writer of YA fiction have someonerous duty to stick to the facts above all else. Fiction is fiction, i.e. itis ‘made up’. Most teen readers are perfectly able to differentiate for themselves between fiction which is based on ‘what really happened’ and fiction which is based on ‘what might have happened’. (In the case of my own Tudor novel, for instance, I suspect it would be a very odd teen indeed who went away from that book convinced that Princess Elizabeth’s maid was a witch who could turn her invisible!) Teens are capable of arriving at such deductions on their own, and of reading in a mature and discriminating way. To carefully screen their reading matter for historical fiction which may not be ‘true’ is to do them a great disservice. Besides, why is it so blithely assumed that what we are told in non-fiction historical accounts is ‘true’? Contemporary historians increasingly head off on flights of fancy, particularly in their biographies of famous people, no doubt hoping to grab more media attention.Some historians write history as though it were fiction, make suppositions based on circumstantial evidence, and describe conversations and private interviews they are very unlikely to have verbatim on record. Yet we are supposed to trust them beyond authors of historical ‘fiction’? The truth is, we often have no real idea what happened in the past. We watch smoothly-produced television documentaries and read the latest glossy history books, and assume what we have received from these is the ‘truth’. We rely on archaeologists and archivists for potshards and letters, for parish records, gravestones, all this piecemeal evidence ofhow people lived and died. But essentially we are guessing; we only know a few things for certain, such as the dates of marriages and deaths. Yes, we have historical theories which are generally accepted by most educated people. But we once had a generally accepted theory that the earth was flat, and look what happened there. Mistakes can be made, historical fact can be massaged or denied to further a political end. You only need to Google ‘holocaust deniers’ to see the reality of how history can be rewritten to suit us. History is not, as we innocently assume, set in stone. History is a changing tide of imprecision and bias, a fluid mishmash of ‘facts’ which are later discredited, and theories wecannot yet prove - if that will ever be possible. Here’s a test case for you. We all assume we know who Boudicca was, Queen of the Iceni, and how she rebelled against Roman rule. It’s a well-worn tale and no one disputes it. Yet all our beliefs about Boudicca and her rebellion are based on one account by a Roman writer called Tacitus, complete with a lengthy battlefield speech by Boudicca worthy of a Roman military general. Over a century later, this account was repeated and embellished by Dio Cassius, who gave us our description of Boudicca as‘tawny-haired’. Tactitus’s original account may have been a propaganda exercise, to make the Romans look good, but it may also have been close to the truth. We don’t know Dio Cassius’s source for Boudicca’s appearance, but the likeliest explanation is that he – or some other author, now lost - made it upor just described a typical Celtic woman. Despite this, most people accept their accounts as truth. That’s what really happened, we say, and that’s what Boudicca looked like, and we teach this to our kids in school and label it ‘British History’. So how can we be sure what we know of the Boudiccan Rebellion is the truth, the whole truth, and nothing but the truth? The simple answer is, we can’t. We can only assumeit’s true. Because it’s all we have to go on. Without Tacitus and Dio Cassius,we wouldn’t even know the name Boudicca. Once you understand the ramifications of that, you will see that any attempt to pin historical fiction writers down to such dubious records, to tell them they must only write the ‘truth’ about history, because otherwise they are somehow hoodwinking people, is essentially futile. It’s like being King Canute and shouting at the tide not to come in.But that’s another historical tale much misinterpreted in its retelling. Allegedly. Victoria Lamb’s debut YA historical novel WITCHSTRUCK is published by Corgi Books on July 5th 2012. Fab post, thanks for sharing! Great post! I love historical fiction, it's one of my most favorite genres. Currently I'm reading “Turkoise” by Joan M. Sargent. If you go to her website, http://jmsargent.com/, you can find out more about her and the book. It’s truly captivating, and I highly recommend it! 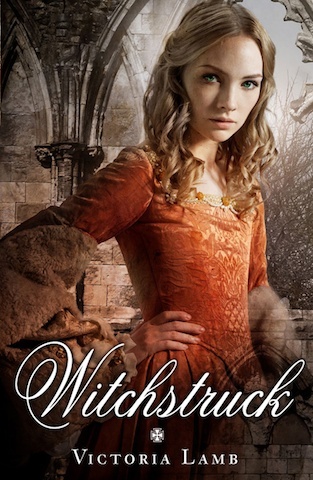 I’ve been looking for another book for when I’m finished with this one and I think I may have to check out "Witchstruck"! Thanks again!